Pine bookcase with opening drawers. 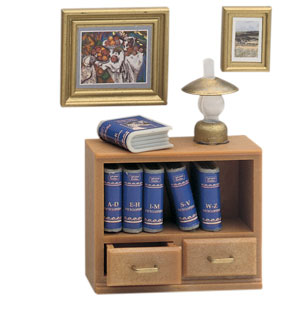 Set also includes 2 pictures, 6 books and a lamp. Please note that book covers and picture images may vary.